Apache Ambari is an open source management tool/platform for managing, provisioning, securing and monitoring the Hadoop Cluster. 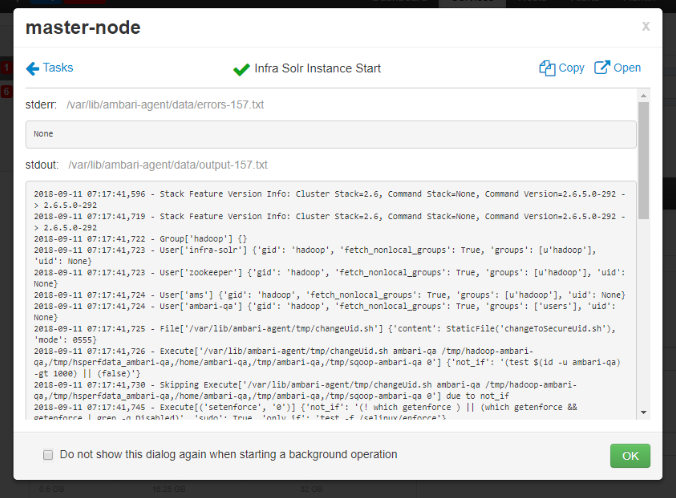 It also allows to install and configure Hadoop Cluster. 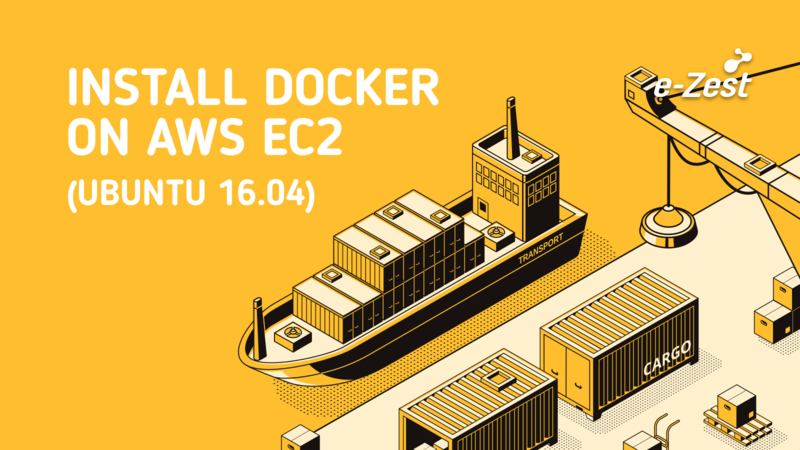 It makes it easier by creating a cluster and also installs the required packages on its own. Note: If JDK is not installed then Ambari takes care of installing it while installing itself. Download the Ambari repository file to a directory on your installation hosts (Do this on all the servers). On the master node i.e the one going to act as ambari-server. Now install ambari-server. This also installs the default PostgreSQL Ambari database. Before starting the ambari-server, we must setup Ambari. The setup configures installs and configures PostgreSQL Ambari database also installs JDK. If you have not temporarily disabled SELinux, you may get a warning. Accept the default (y), and continue. Customize user account for ambari-server daemon prompt: ambari by default runs on root . If you want to configure it on root the select (n). If you want another user then select (y). If you select (y) then provide a username. Warning for disabling iptables: If you have not disabled it you may get a warning, so select (y). Select a JDK version. Select (1) to install JDK 1.8. If you select to choose the custom version of JDK then you must install JDK manually on all the servers and specify the Java_Home_Path. Note: Choosing option 1 would be good as it saves a lot of manual configurations and it makes the necessary configurations on its own related to Ambari. Accept the Oracle JDK license when prompted. To explicitly enable Ambari to install libraries related to LZO data compression, select (y). If you select (n) then Ambari will not install any libraries automatically on newly added hosts. Proceed with configuring remote database connection properties [y/n]: y. After the setup start the server using following command prompt command. Edit the ambari-agent.ini file on both the servers. On master-node change the value of hostname to localhost. On node1 change the value of hostname to master-node. It will ask for login username and password the default credentials are admin/admin. 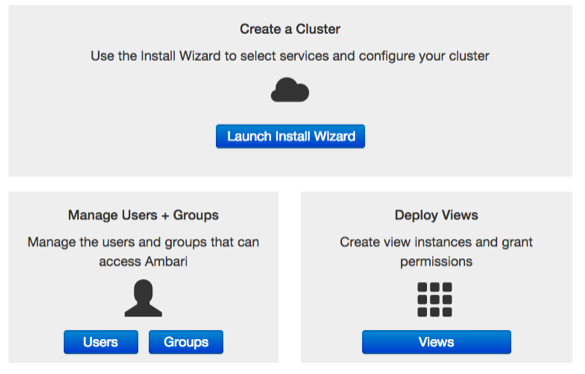 From the login page you will be redirected to the Launch the Ambari Cluster Install Wizard page. After this you will be redirected to the Name your Cluster page. In ‘name your cluster’ field provide a name to the cluster. Remember that the name should not contain any special characters or white spaces. Using Public Repository: This will require internet connection to the server. Using Local Repository: Requires software configured in a repository within a network. 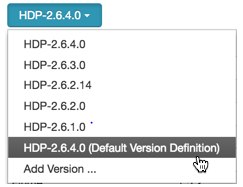 If Ambari Server has access to the internet specific versions will be listed in the DropDown. You can edit the base URL of the repositories based on the OS. 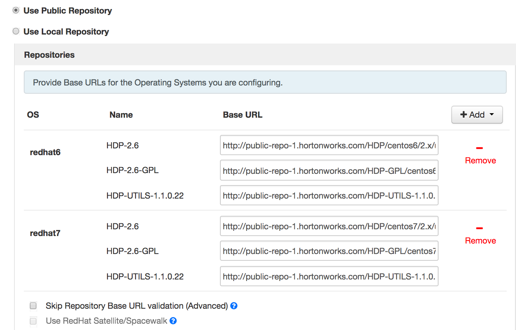 Use RedHat Satellite/Spacewalk: This option will be valid only if the local repository setting is used. In Target Host: Enter the list of hosts one per line. If you want Ambari to automatically install the Ambari agent provide the SSH ppk or path or choose select file in Host Registration Information. Provide username and password for the SSH key. 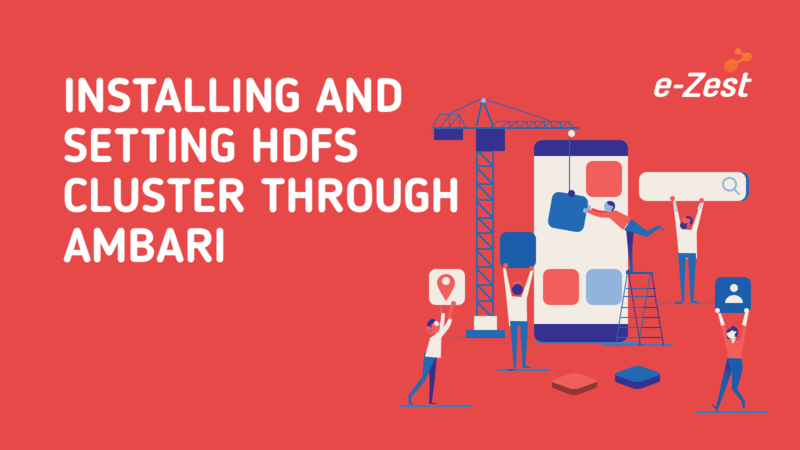 If you want to install Ambari Agent manually, select Perform Manual Registration: This step will require Ambari agent installed. We have already installed and setup ambari-agent above in the article. If all the hosts are correctly configured the Confirm Host page will successfully register the hosts. 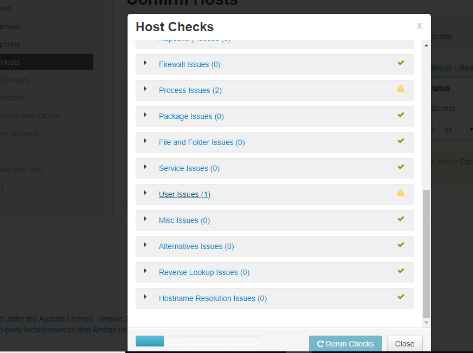 It may show few warnings for host checks. Based on the Stack chosen during the select stack step you are offered with the choice of services that you want to be installed through Ambari. You can install/select the services now of add the services later as well. Starting in Ambari 2.5, SmartSense deployment is mandatory. You cannot clear the option to install SmartSense using the Cluster Install wizard. Select the service you want to deploy and choose next. After you select the services to be installed it asks us to verify the configurations and assign master and slaves. If you select to create the HDFS cluster with YARN+MapReduce then it will ask the hostname for NodeName SecondaryNameNode and DataNode. It does the configurations according to the inputs provided by you. 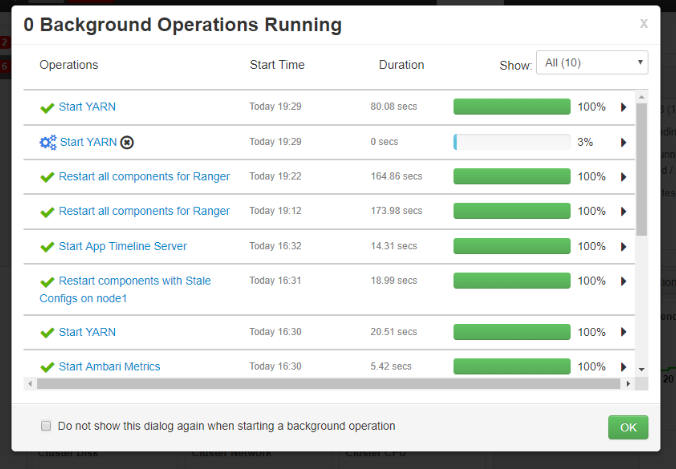 The following are the snapshots that indicate the configuration details.